The Star Spangled Banner is arguably the most controversial song in the repertoire of songs for American music education. While American music educators nearly universally agree that, as the national anthem of the United States, it should be taught to American children, the pitch range, spanning an octave and a fifth, puts it out of range for very young children, and makes it a challenge for older students, and indeed for most adults; the melody exceeds the tessitura of virtually every amateur singer. With this in mind, what, besides historical and patriotic importance, recommends The Star Spangled Banner for inclusion in American music classes, and when should it be taught? The first point to remember is that repertoire can be listened to and responded to before it can be sung. A person’s “listening vocabulary” for music should always be more advanced than what a person is able to perform or read. As a clarinetist, I have benefitted from hearing virtuosi perform difficult repertoire years before I was able to play it passably. The music was familiar to me by the time I could play it, and I had a working knowledge of stylistic and expressive issues as I began formally studying the piece. Similarly, children can begin listening to and becoming familiar with the Star Spangled Banner years before they are asked to sing it. The lyrics can also be studied apart from the music. Children love hearing about rockets exploding in the night sky, illuminating for only instants at a time the still flying American flag. 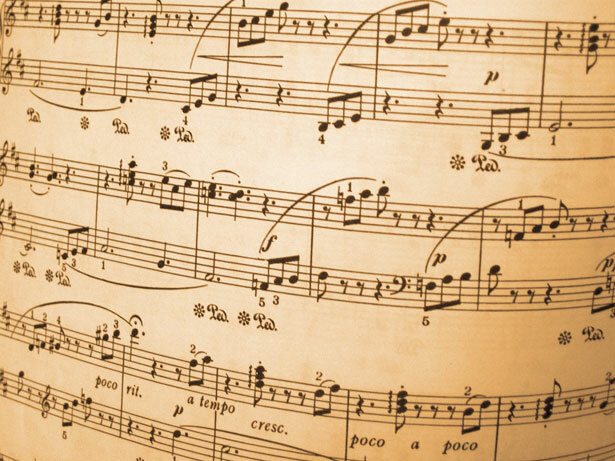 Through hearing the song and bringing the poetry to life, students will have developed a deep understanding of the anthem as they enter into their first formal attempts at singing the song, under the guidance of a music teacher. If the singing voice has been well-trained in early childhood, and through the early years of formal schooling, most children will have a singing range sufficient to sing the Star Spangled Banner by the time they reach fourth grade. By then, a child’s singing range is approximately from a – e2. If the song is sung in A major, a fourth grade child will usually have the range to succeed. The song will soon cross from the lower to middle vocal range. The B section will take the child to the upper vocal range. Children who have learned how to use their upper adjustment singing voices will have little trouble with the higher notes. In fact, the real difficulty in singing this song is as much the vowels used as the pitches. The highest notes are on the bright vowel of “glare” and “free.” Many singers tighten and close their throat and oral cavity when singing these vowels. Frequent exercises and warm-ups in the upper adjustment on these vowels preceded by a “y” will help train young singers to open them. Of course, all good singing is also predicated on good breathing and breath management, so singers will need to use practiced technique in this area too. When teaching the Star Spangled Banner, keep in mind that, contrary to what you may have heard in the popular media, the national anthem is in 3-4 meter, has characteristic dotted eighth and sixteenth note rhythms in the A section and contrasting legato and eighth notes in the B section, and contains no melissmas in the final strain. A national anthem is supposed to represent and honor a nation, not the person singing. Taught well, students can bring both well-trained voices and respectful attitudes to one of the musical treasures of the United States, The Star Spangled Banner. One of the fascinating things about music history is how people have gradually over the centuries changed in how dissonance is regarded. From the position that all dissonance was bad and even evil, to the twentieth century view that dissonance can be beautiful, we have accepted and embraced more and more dissonance in our art music. One of my favorite dissonance passages is in William Walton’s oratorio, Belshazzar’s Feast. The choir sings the text “drank from the sacred vessels.” All in quarter notes, “drank from the sa-” is set to minor seconds, “cred ves-“ is set to major seconds, and “sels” is the resolution to a minor third. It is a stunning moment, and sets up a dramatic pause and breath taking phrase. This occurs at 15:02 in the video I’ve included with this post. Listen from 14:14 to 15:52 to get the full effect. The passage illustrates an important point about music and dissonance. Music is not simply dissonant or consonant. It is not enough that we decide that a sonority is one or another. There are degrees of dissonance, and they contribute degrees of tension. A greater dissonance may be followed by a lesser dissonance, reducing but not eliminating the tension. We hear this in the excerpt from Belshazzar’s Feast as the music progresses from minor seconds to major seconds. The tension and dissonance resolves further when the major seconds are resolved to the minor third. Even with the consonant interval of the minor third, the tension is not completely gone; there are more consonant intervals than a minor third: the perfect fifth and octave. We do not get either of these at this point in the music, so some dissonance remains, even in an interval considered consonant. Just as there are degrees of dissonance, there are also degrees of consonance. Thirds and sixths have some dissonance mixed into them as a result of how the overtones of each interact with each other. A perfect octave has no dissonance, because all overtones are shared by both notes. An untempered perfect fifth also is pure consonance. Because there are degrees of dissonances and consonances, all must be carefully tuned. If we only tune the consonances, then the dissonances create the intended degree of dissonance, which will usually result in dissonances being too dissonant. Minor seconds and major ninths should have rapid beats audible, whereas major seconds and minor should have slow, pulsating beats audible. Major and minor thirds will both have slow pulsating beats, but minor thirds will also have fast beats at the same time. It is these beats that give the intervals their proper mix of dissonance and consonants. The faster the beats, the more dissonance is involved. The fast beats are sometimes described a roughness. With training and practice, listeners can develop sensitivity to degrees of dissonance. Starting with highly contrasting dissonances, such as the tritone, which is highly dissonant, and the minor 7th, which is much less so, students can become used to hearing differences in dissonances. Once this sensitivity has been developed, or even has begun to be developed, listening to atonal art music can become much more fun than it was when the student though all dissonances are unpleasant and the same. Listen to “Deserts” by Varese, and focus on the different qualities that various dissonances have throughout the piece. Some of them are quite relaxing, while others make you feel like the bottom just dropped out of your stomach. Being aware of the ebb and flow of the degrees of dissonance will allow you to perceive patterns of stressing and relaxing that make the piece sound less random and noisy, and much more expressive. What Is Music Theory and How Does It Fit Into Music Education? A casual survey of so-called music theory books used by piano and violin teachers reveals that music theory is frequently understood to be the body of knowledge needed to read music. When students using these materials “learn music theory,” they are asked to name notes and chords, identify and define symbols such as key and time signatures, measures, kinds of notes, and so forth. When I got to college and had to take freshman music theory, I saw that now my professors considered knowing how to label octaves, write with correct voice leading in four parts, and analyze chords as music theory. Later still, I found that studying music theory meant doing Schenkerian analysis, which included making reductions. So what exactly is music theory? Is it note and chord spelling, a method of musical composition, or analyses of musical works? Perhaps we should start with a simpler question: what is a theory? The writers of the Webster-Merriam Dictionary wrote that a theory is “an idea or set of ideas that is intended to explain facts or events.” Notice that the facts and events themselves are not the theory, but the explanation of them. Theories explain how things in the world work; things like gravity, the human mind, and relativity. A theory of music, then, describes how music works, but not in the sense of A’s or G-sharps or B-flats, but in terms of harmonics and vibrations. It would explain why certain pitch combinations sound dissonant with a discussion of the tones not sharing overtones, while notes that sound consonant have multiple shared overtones. Such explanations have a scientific basis, and explain why music sounds the way it does. Piano tuners use such a theory all the time as they measure the tempering for pairs of notes. Knowing that a pitch is a B-flat doesn’t explain how music works, any more than saying a house is made of wood and bricks explains the forces acting upon that house that keep it from falling apart. Children who are learning note names, chord names, and note types are learning the materials of music, not music theory. While it may seem pedantic to dwell on this point, many well-intentioned music teachers have been led to believe that note, chord and rhythm spelling is all one needs to know to learn to play or sing competently, and to understand music. A teacher with this disposition will not find it necessary to go further, avoiding such important things as note tendencies and attractions, differences in the tensions of different intervals, and the expressive potential of these. If one focuses only on what is found in so-called music theory books, (and the reader will now understand why I say “so-called) aural skills will often remain divorced from music spelling limiting the musical understanding to written signs and symbols without sound and, because it is music, without meaning. Schenkerian analysis hits closer to the mark, because it at least begins to explain how the human mind organizes music beyond the physically heard sound. Lerdahl & Jackendoff’s Generative Theory of Tonal Music comes even closer, articulating a psychological basis for how we organize and understand music that we hear. With knowledge of these actual theories, a music student can then understand how the notes, chords and rhythms they are learning are formed into structures of meter, motifs, themes, theme groups, sections, movements and works over periodic time-spans, and create patterns of tensions and relaxations that are the expressiveness of music. Note names, chord names, and rhythms are just the beginning, and alone are inadequate for teaching music theory and music in general. Teachers should by all means teach music spelling, but must also teach what sounds those things being spelled are, how and in what forms they exist in the physical world as sound, and how they interact and are perceived as musical in combinations that have musical and psychological bases. That is the essence of music theory and essential to good music teaching. Today, I have two things on my mind. One is that while every child is entitled to a music education, no one is entitled to success; that has to be earned. I am a strong believer in the principle that the less one has to work for something, the less it will be valued. The other is that children in kindergarten can begin to learn how to read music, and children younger than five years need not be taught how to read music. Anyone for whom either or both of those statements is controversial, please read on. I know colleagues who do not attempt to teach music reading until second or third grade. They insist that children younger cannot effectively be taught to read music. I haven’t observed any of these teachers, but my guess is that a more accurate statement would be that the teaching method being used is not effective in teaching those younger children how to read music. We must realize that music reading will always follow singing, just as reading language always follows speaking. Children are more fluent speakers of their native language than they are readers of it for at least the first seven or so years of their lives. Music is no different. Children are more fluent singers and chanters than readers of music for the first eight or nine years of their lives, and that only if they have received proper musical training. For this reason, it is important to have easier songs to read, and more difficult songs to sing by ear. That way, children are constantly being familiarized with musical patterns that can then eventually find their way into what the children can read using standard musical notation. This approach is observable in music classrooms where the teacher is using the Kodaly method. Children typically are taught many songs by rote that include two to all five notes of the pentatonic scale, but start learning music reading with only two notes, usually so and mi. The children sing songs with other notes before they read other notes. Eventually those notes are added in the order in which the student is likely to have become familiar with them. Hence, after so and mi, la is introduced before fa in a culture where pentatonic songs are prevalent, though fa may be introduced earlier in cultures where it is more frequently encountered. Although a two line staff is sometimes employed at first, I have found this to be unnecessary. I use the full five line staff immediately, so that the children can get used to finding a limited number of pitches on the staff they will eventually need to read from. Kindergarteners can quickly and easily see the difference between mi on the bottom line, and so on the next line up, and do on the ledger line below the staff. Because I teach using fixed do, remembering do as the note with the ledger line through it does not have to be altered later on. Re hangs from the bottom line, and fa sits comfortably in his house between the bottom two lines. Once the children have learned so and mi, I constantly refer back to those notes written on the staff when they are heard in songs they sing. “Wait, wait, what was that? Did you hear so-mi just then?” I’ll sing “so-mi” and then the passage that contains them. After a few classes, I’ll ask the children to raise their hand each time they hear a so-mi. I think it’s very important to continually connect what they are singing, hearing, and reading, and so I do this regularly. I also teach the kindergarten children Curwin hand signs, because I have found that it helps them remember the notation and sound of the intervals. Somehow, the hand signs seem to solidify the connection between sight and sound. It is not uncommon for the same children when they start first grade, to show me hand signs before sight singing a pattern. Once they have done the hand signs, they remember what to sing. I strongly believe that this is a solid way to teach young children how to read music. No pre-reading gimmicks are needed such as singing by number or color coding and matching. Children are fully capable of matching what they hear to what they see; they have been doing this from very early on, learning what to call things by matching what they look like with what they hear people calling the object. It has been observed that our Western culture is teetering on becoming a post-literate one, if in fact we have not become one already. Much is at stake if that were to fully occur. So much of our cultural identity is tied to things that are written down in words, pictures, and music. Teaching music reading—real music reading, with a musical staff and all the notes and symbols traditionally associated with it—is not small matter, but instead is the music teacher’s contribution to preserving and advancing through students’ creative use of standard music notation the culturally essential art, so vital to humanity, of music. I am all for assessing student singing, but for some time I have struggled to find a way to assess that did not take up an unreasonable amount of time. I have tended to favor informal methods, where I walk up to individual students while they are singing with the rest of the class, listen to their singing within the group, and make a quick rubric assessment of the child. I can assess an entire class this way relatively quickly, and the data I gather helps me plan instruction that meets individual needs. The class is still doing what they would be doing anyway, singing, and with little interruption in familiar class routines, assessment takes place. The problem with this type of informal assessment is that there is no record of student work; there is only the rubric form I have filled out. There is no work to show students, parents or administrators, and students are never evaluated singing alone, which is a much more accurate situation for assessing student achievement in singing. The model cornerstone assessments being piloted for the core arts standards in music address this problem by having the teacher record students singing alone. The recording becomes a shareable and assessable piece of student work, and students are assessed singing alone. On the other hand, the issue of time becomes an issue once again. Having each student sing alone is not what students would be doing anyway, at least not to the extent needed for these assessments. Recording each student singing even a short song can quickly become tedious and overly time consuming. If children record themselves in a separate room, there is the distraction of children frequently leaving and re-entering the class. If the children are recorded in class, other instruction must be suspended while recording is taking place. The solution is to integrate the solo singing into the lesson, and make the recording as unobtrusive to other instructional goals as possible. While a child is singing and being recorded, the rest of the children in the class can practice using a self-assessment rubric by using it to assess the singing of the student singing, demonstrate and self-assess correct concert etiquette, or practice the solo song by audiating. Students can be held accountable for audiating by cold calling on students to sing the song on two occasions, and checking for improvement. After a child has sung and been recorded, they fill out a short self-assessment rubric, which I eluded to a moment ago. This gives the child who just sang something to do while the next child sings. If the child fills the self-assessment form out quickly, the teacher can then cold call on a student to answer one of the questions regarding the student who has just sung. For example, did Sarah sing with a steady tempo? This keeps students accountable for listening to the solo singer. Often, they enjoy hearing their classmates sing, and will do so quietly anyway. How Can Students’ Practice Be Improved? 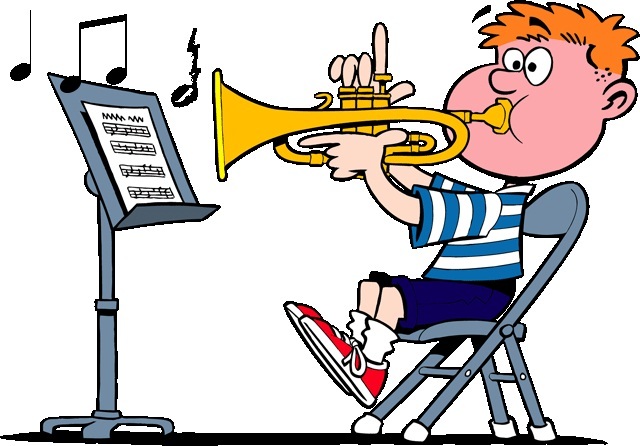 Regardless of how successful a private music lesson is, a large measure of the student’s eventual success depends on regular and effective practice at home. Often, attention is given to how to get students to practice more, but not enough attention is given to what students should be doing when they are practicing. I have found that often a student who isn’t practicing much is unclear what they are to do once they leave the lesson, and as a result do not notice enough improvement from what practicing they do to motivate them to continue. 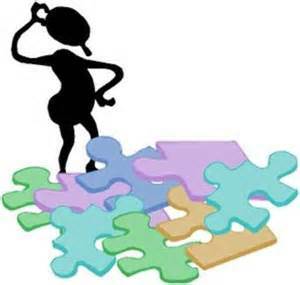 Today, I would like to describe what has worked for me in addressing the issues of student practice. In my lessons, I establish a routine that models what I expect the student to do on his or her own when they practice. I begin with the chromatic scale and a major or minor scale. I guide the student through practicing slowly and playing evenly. I may have them use several different articulation patterns, and I will address any hand position and (for wind players) embouchure issues that need correction. Some debate the need for practicing scales, but I believe that scales are the indispensible foundation of every instrumentalist’s technique. When practice sessions are started with scales, the player is afforded the opportunity to hone in on aspects of his or her playing that are in need of improvement, including tone, articulation, hand position, fingerings, evenness, and even familiarity with keys not often encountered in repertoire. 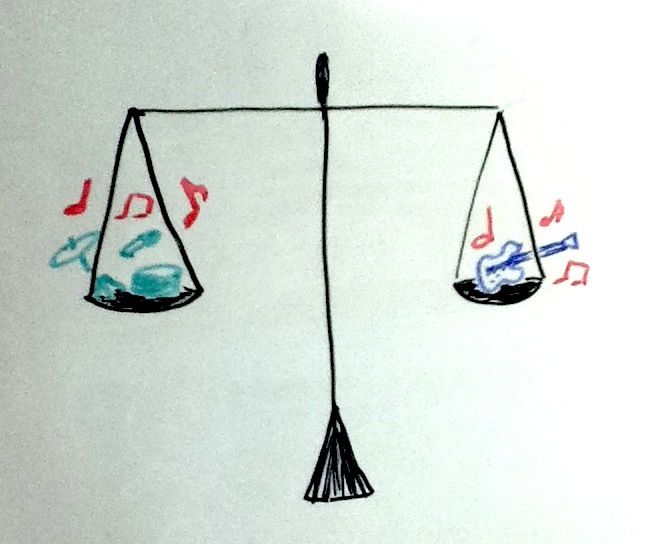 Scales should not be a “one and done” activity, but a purposeful and focused one. The next part of practice is an etude. This is material I have assigned with a particular purpose in mind. It might be any of the things I listed for scales, and is a part of the student’s technique that I am focusing on at that time. The student has already begun to address the issue in the scales, and now practices using it in the context of a piece. The combination of scales followed by a thoughtfully selected etude is a powerful one, and will lead the student to greater gains in proficiency than spending most of the practice time on repertoire. The tangible improvement that the student will notice motivates further practice, and makes repeated pleas for more practice unnecessary. Students like to succeed and like to see that the work they are putting in is gaining them noticeable benefit. One word of caution is this: teachers should not be too hasty in checking off an etude as finished the first week it is played well. More velocity, better articulation, improved tone are always possible with further work on a familiar etude. It is never enough to practice until skill is gained; it is also necessary to practice those things the student does well, so that they get better at them. We send a damaging message to students when we settle for “good enough” when they could do better. Teachers should write all of what the student should do on a practice lesson plan. Have sheets pre-printed with the categories of work: scales, etudes, articulation, tone, repertoire. Fill out the plan as you go through the lesson, tailoring the material in each section to the student’s needs. There should be a space on the form at the bottom for comments. There, the teacher can write specific directions on how a scale or etude is to be practiced, including articulations to be used, and tempo, and reminders of areas of particular focus. At this point, if you are a vocalist, you probably think I am writing only to instrumental teachers. If so, I want to challenge you to take the same approach to teaching voice. There is no reason why vocalists cannot practice etudes, even those written for another instrument. Students can sing instrumental etudes on neutral syllables or solfege, as long as they are contained within the range of the human voice. The goals of a singer are the same as for an instrumentalist: good tone, evenness of tone, accurate intonation, velocity, and expressiveness. Student singers will learn vocal repertoire with much stronger technique and more confidence if they are prepared with the thoroughness that etude practice makes possible. After scales and etudes, repertoire can be practiced as needed. Honestly, if the scales and etudes are properly practiced, all but the most challenging repertoire will be easily played by the student. Solo and contest material needs more attention, but even there, much of what has been learned in scales and etudes will enable this repertoire to fall into place with minimal technical practice. This leaves ample time for interpretive practice: the discovering and bringing out of the composer’s and the student’s expressive intents. This is what music making is all about, and this is where it gets fun. If a student only practices for correct notes and fingerings, and then moves on to something else, there has been little or no payoff, and the essence of musicianship and fun of making music has been missed. If the teacher is only or even mostly interested in the student learning notes, is it any wonder that the students of that teacher loose interest in practicing and their lessons. What Does Music Have To Do With Social Development? School is a social environment. Learning takes place in classes where groups of children are gathered, usually 20-25 at a time. When everything is going smoothly, students are listening to a teacher and to each other, are asking and answering questions, responding to prompts, understanding what is being said or done, and keeping their attention focused on the one speaking or doing at any given time. All of this depends on everyone in the room interacting not only intellectually, but socially as well. Listening, responding, and learning from each other takes social skill, and functioning relationships between classmates and between the class and the teacher. Dr. James Comer referred to this part of a child’s development, the part where they learn to effectively utilize social skills, as the social pathway. Children need an ability to develop and maintain healthy relationships and to appropriately handle challenging relationships. A large part of this comes from being skilled at empathy. Children make healthier behavioral choices when they realize the affect those choices have on others, and how they are causing others to feel with their actions. Related to the social pathway is the psychological pathway. Here, the focus is on a child’s self-awareness and self-esteem, including feelings of worth and competence, and on appropriately managing emotions. Teachers should try to help children develop a strong, positive sense of self, and build the child’s ability to manage their emotions well. Now think of music making and music education. One of the foundational benefits of music education is to provide children with a healthy outlet for personal expression. Music can help people express the full range of emotions, and do it in a way where even the most negative or angry emotions are expressed not only in a healthy way, but in an enjoyable way. We enjoy and are stimulated and excited by rowdy music, be it the cannon shots in Tchaikovsky’s 1812 Overture, or the stormy, turbulent and sometimes schizophrenic ravings of a Mahler symphony. We let go on a Friday afternoon to heavy metal, head banging riffs, and are soothed by a gently ballad or beautiful melody. People not only interpret music, but at times it seems that music interprets people, or at least we are helped in interpreting ourselves by listening to music that draws out a tangible image of how we are feeling or want to feel. Interpreting music brings students face to face with the reality that others feel emotions and what they are feeling is expressed in this music. They can learn to understand what another is feeling by interpreting an artistic work. Students can also express how they feel about what the composer is feeling by responding to the music and performing it with their own expressive intent, the feelings and emotions they have for the music, added to the expressive intent of the composer. It should be evident now that music making, and the teaching of it, is highly effective in helping students develop their social and psychological pathways. 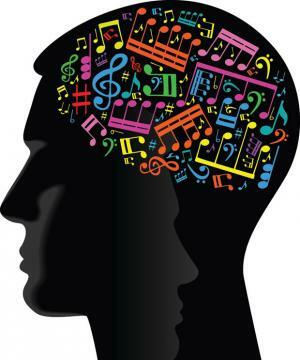 The inner world of music and of music making is a model for social and psychological health. Even the notes themselves, the way they combine to form harmony, rhythm, and counterpoint, is a model of how people combine sometimes in agreement, sometimes in combinations that work together, and sometimes in disagreement and tension, but ultimately to achieve something positive and worthwhile, working through conflict, just as the notes of a good counterpoint or the contentiousness of the relationship between the piano solo and the orchestral part in a nineteenth century concerto come around to a masterful combining to form great art. In our well-tempered musical culture, all musical keys tend to sound the same, except for being higher or lower. Yet throughout the eighteenth and nineteenth centuries, composers enjoyed the rich and expressive variety in the way different keys sounded. Rousseau described D major as being suited for “gaiety or brilliance,” Schumann spoke of C major as “simple, unadorned, while Schubert, describing Bb minor, said “preparation for suicide sounds in this key.” The San Francisco Symphony has a wonderful demonstration of how different keys have different qualities when played on a piano as it would have been tuned in Beethoven’s day. When you listen to the difference in tone quality and color between the keys outside of equal temperament, you realize that all tonics and other functions within a diatonic scale are not equal. The tonic in D major sounds quite different than the tonic in Eb major, apart form the difference in pitch. It is easy to forget, or perhaps never discover, that these differences exist, because equal tempering causes the notes that establish a tonic to be sterile duplications from one key to another. One of the things I like about fixed do solfege is that calling tonic notes by different names in different keys forces us to think of each tonic as a unique entity, related intervallically and harmonically to the other diatonic tones, but not to tones in other keys Tones that are called by the same name ought to sound the same. Why don’t all keys sound the same outside of equal temperament? To answer this question, we will look at how pianos are tuned. Today, pianos are generally tuned with equal temperament, meaning the distance between every half step is exactly the same. This eliminates the differences between keys described by many of the classical composers. 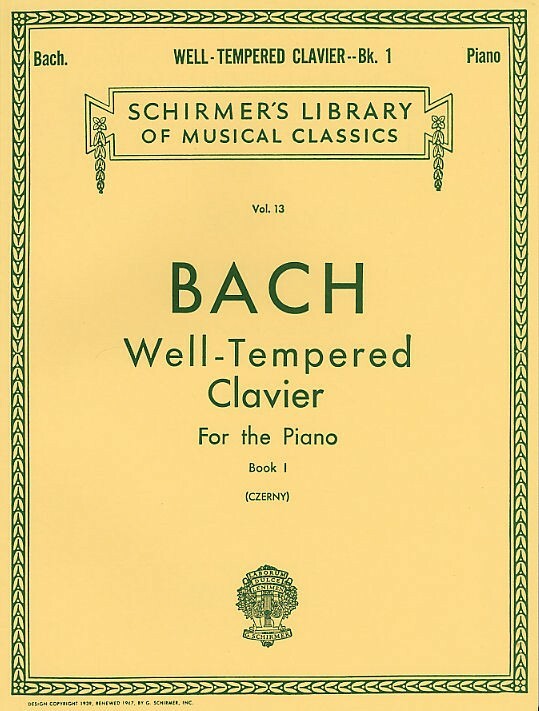 Well temperament was used by Bach and nineteenth century composers. Well temperament allowed the piano to be played in tune in all keys, but preserved the different character of each key by avoiding equal temperament. Pianos tuned with well temperament, which is not the same thing as equal temperament, are tuned with slower “beats” compared to equal temperament. “Beats” are the oscillations heard when shared overtones between two tones are not perfectly in tune. Slower beats are produced by notes that are less tempered. Tempering is the change from pure tuning. Well tempering creates a tuning where different keys will take on different characters and colors, but will still be useable in all keys. The tuning standard for well temperament is C. With the addition of each additional sharp or flat, more dissonance is introduced. That is why C major is the purest sounding key, and sharp keys are often described as more colorful; they simply have more dissonance built into them. When a soloist plays with a pianist using an equal tempered instrument, the music can easily sound out of tune because the soloist, if he or she is well trained, will avoid equal temperament as part of his or her collection of expressive performance devices. These notes clash against the equally tempered notes of the piano. This is also why singers and non-keyboard instrumentalists should not learn tuning from a piano. Matching pitch with a piano is destructive to good intonation for a singer or instrumentalist. While equal tempering is necessary for highly chromatic, frequently modulating, and atonal music, it is not necessary for performing music of the standard orchestral repertoire. A more authentic and expressive experience would result from using well tempering for these performances. Ear training in our music conservatories would also be improved with the use of well tempering, and the steady and historical rise in the tuning standard of 440 cycles per second for the tuning note “A” might be stopped or even reversed were well tempering employed, because the richer pallet of timbres musicians seek by playing on the sharp side would be readily apparent from the affects of the tempering. For music teachers, an awareness of the advantages of well tempering, and making use of them in their teaching is certainly worthwhile. When planning a concert, there are many more things to keep in mind than just the date, time, place, and what pieces will be programmed. While these certainly need to be set, without first establishing why we give concerts with our students, and what we hope to accomplish by doing so, programming and scheduling issues will likely be unfocused or even arbitrary. Perhaps most important is why we give concerts with our students. Every reason we give to this question will effect every other decision we make regarding our concert. Allow me to propose a few reasons. First, we give concerts to showcase our students’ accomplishments. Concerts are an opportunity for parents, teachers, and all members of the school community to witness what our students have achieved as a result of being in our ensembles, and for students to take pride in what they have accomplished. Clearly, what our students achieve is determined in large part by what we have taught them, which in turn is determined in large part by what we planned to teach them when we first started teaching them the concert repertoire. Often the specifics of what our students have learned will not specifically be known by our audience, though the overall benefit of it will be appreciated. For example, if you lead a school string orchestra, you may have worked hard on developing an even, smooth, resonant legato bowing technique. To achieve this, you selected music with cantabile melodies, long flowing phrases, and perhaps a variety of legato articulations. Growth in playing this way is evidenced in the students’ performance, but few in the audience know that it sounds so beautiful because the students are using excellent legato bowing technique. What they do know is that the music sounds really good. The students benefit from a more highly developed bowing technique, and the audience benefits from a highly satisfying concert; however you did not teach legato bowing for the audience’s benefit, you taught it for the students’ benefit: what the audience gained from the experience positive, but residual—it is not why you taught what you did. Second, we give concerts so that students can express themselves to others artistically. Technique is a gateway to healthy emotional expression through musical performance, and not an end to itself. Teaching technique so that the students can play the music is not a good enough reason. The technique must be serviceable for gaining the benefit from playing the music, not simply for playing the music. This mindset to rehearsal demands a greater emphasis on tone production and expressive gestures than is sometimes given in even high school music programs. The realization of the performer and composer’s expressive intent demands a certain level of technique that exceeds what is necessary to simply play the notes, and get the dynamics right. 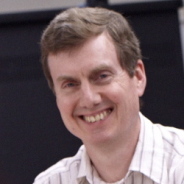 Music teachers sometimes confuse separating pitch, rhythm, dynamics and articulations for purposes of drill and practice, with separating them at the peril of loosing the expressiveness of the music; they must be re-connecting so that students understand how all expressive elements work together with accurate pitches and rhythms to make music what it expressively is. Third, we give concerts because they are culminating events that pull together the many strands of learning that students have acquired, so that every detail studied can be seen, known, and experienced in its musical context. Rehearsals are rarely comparable to performances, and are frequently segmented into sections rehearsing parts one at a time. While this builds technical skill at performing the music being rehearsed, it is easy for students to loose sight of the whole, to get lost in the trees, so to speak. They get glimpses and partial experiences of what the composer really wrote, but it usually doesn’t all become perceptible, and by all I mean technically, expressively, and emotionally, until the performance or perhaps the dress rehearsal. A performance not only gives closure to the study of that music, but adds another experience, another memory, another slice of creative life to every students’ consciousness and self-understanding. To accomplish these three things, showcasing achievement, providing an outlet for healthy expression, and to provide an effective culminating activity, concerts must be planned so that challenges are high but doable so that both a high level of learning and performance can be attained, so that repertoire is of a high quality, with expressive potential that will engage students, and so that the musical performance in its final form is worth putting together and celebrating in the performance. Certainly not all music on the market measures up to all three, and some music, which we sometimes refer to as “teaching music,” is worthwhile for instruction, but not worth investing the time of preparing it for public performance. Keeping all of these factors in clear focus paves the way for more meaningful, worthwhile and cherishable concerts.